Slinger is a village just 30 minutes NW of Milwaukee. The Slinger School System is one of the the most sought after in the county. For a population of around 5,000 there is a lot to do, including various parks, nearby lakes and the Ice Age trail. In the summer check out the Slinger Speedway. Reported to be the to the fastest 1/4 mile track in the country it boosts past champions like Matt Kenseth and Kyle Busch. In the winter there is Little Switzerland. A fun hill recently updated with multiple jumps for snowboarders and Skiers. Switz has added mountain bike trails for summer fun. Nearby freeway access make Slinger an easy commute to jobs, the Summerfest grounds at the lakefront and Mitchell International airport. 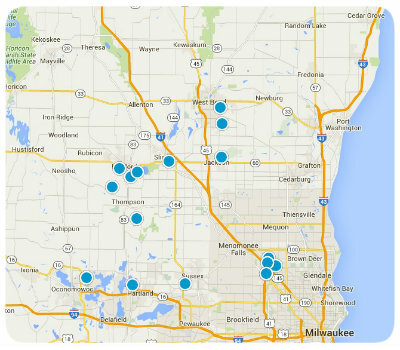 Our agents can help you find the perfect property in Slinger.